Narcy Greenwood has attended multiple AONN+ conferences and always learns something new to bring back to her practice. 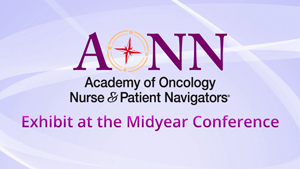 Tonya Rhinehart explains that AONN+ conferences help navigators to define and emphasize the importance of their roles, and provide better quality care for their patients. 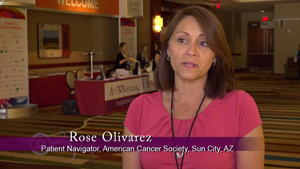 Rose Olivarez believes it's important for organizations to support their navigators by sending them to AONN+ conferences to learn from other navigators and improve their navigation programs. 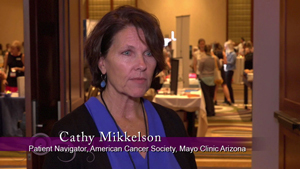 Cathy Mikkelson explains why it's so important for navigators to attend AONN+ conferences regardless of whether their institution supports professional development. Lalonnie Hurliman wishes she had discovered AONN+ sooner in her career. Find out why. AONN+ has given Lalonnie Hurliman valuable education on what navigators do, what they don't do, and how to improve patient care. Wendy Greer explains what attracted her to AONN+. 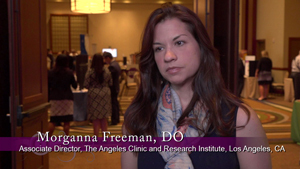 Morganna Freeman is inspired by the dedication and enthusiasm of the navigators at AONN+ conferences, and believes fellow clinicians should come to a conference because medicine is a team sport. 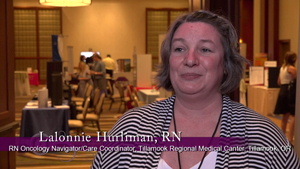 Morganna Freeman encourages practices to send their navigators to AONN+ events because the information provided is beneficial to the entire healthcare team.